It's time for proms, primping, and planning. We've seen plenty of sites are discussing the styles that are perfect and popular for this prom season along with tips on how to achieve them - but those tips have been primarily for straight-hair. It’s no secret that sometimes we have to work a little harder to get our curly hair to do what we want, and with events like prom and weddings approaching, and we're here to take the worry out of your prom prep. Here are 10 products that will make your gorgeous prom 'do stay all night! We all love big hair, but no one wants big frizz so if your style is about volume the right product will be key. 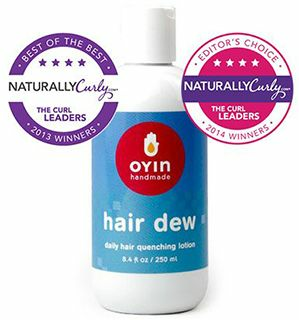 A Best of the Best by NaturallyCurly.com 2013 Winner, DevaCurl Frizz-Free Volumizing Foam is a sure pick for that all-day, medium to strong lasting hold to give you all the definition for your curls, coils, and waves. Sometimes you have to start from the beginning. If you have fine hair, then using SheaMositure’s Yucca & Baobab Volumizing Conditioner will help thicken and add volume to your tresses for big hair without the weight. Your hair will go from limp to full of body. It will also give your hair all the strength it needs to stay healthy. This product is a triple threat to flat hair. TIGI Bed Head Candy Fixation Totally Baked Volumizing and Prepping Hair Meringue will give your hair the hold, volume, and texture you need for big hair that will last. This product fights humidity and will give you the shape you are looking for in your curls, coils, and waves. No one says you can’t be a curly girl rocking straight hair for prom. If you want the straight look then here’s a list that will get you what you need without harming your tresses. Heat protectants are necessary and beneficial so don’t even think about rocking a straight style without them. A study a few years ago from the University of Manchester found that steering clear of water based heat protectants was best and instead look for ingredients with oils and solvents. Mixed Chicks Straightening Serum will temporarily give your hair the smooth and sleek style you looking for without damaging your curls. This thermal protectant is humidity resistant and will cut your drying time in half. Ion Heat Protection Spray is a favorite with naturals as it protects the hair from heat damage and leaves your hair with shine and body. It’s also 100% vegan with no parabens. We want those defined curls, coils, and waves to last into the wee hours of the morning so check out these products made to keep your hair gorgeous. This gel will absorb the moisture from humidity and prevent your strands from expanding. 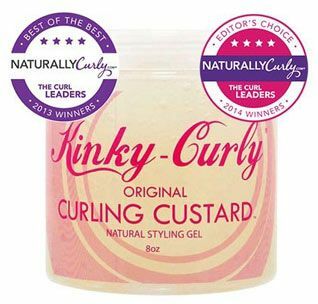 It’s a Editor's Choice by NaturallyCurly.com for 2014, so know it’s a great product to do the job and keep your hair looking perfect. 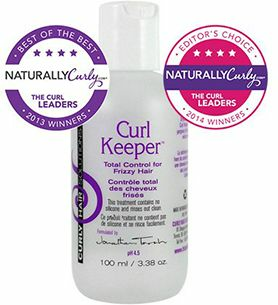 Curly Hair Solutions Curl Keeper is another Editor's Choice by NaturallyCurly.com for 2014. It slays frizz and creates beautiful curls without dryness. With the product being formulated for all curls, you can master all of your textures with this one. Nothing is worse than frizz on prom day. This is not the time for a bad hair day. This conditioning leave-in is creamy and lightweight enough for everyday use, but the real promise is in the moisture that is sure to keep the frizz away all night long. 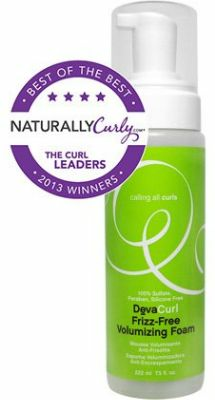 This Editor's Choice Best of the Best for 2013 by NaturallyCurly.com product will wake up your curls and give them life. 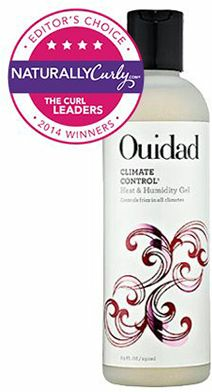 This amazing product, which is also another Editor’s Choice by NaturallyCurly.com for 2014, will give your curls and coils the moisture it needs to stay hydrated and gorgeous without frizz. If you want lush radiant hair on prom, then this is your product. A holding product is essential for gorgeous prom hair to stay in place. 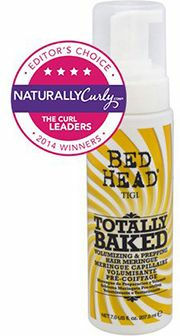 This holding spray is a Best of the Best by NaturallyCurly.com for 2013 for a reason. It gives your coils shine, lasting definition, and flexibility. You will have hold and touchable curls all through the evening. 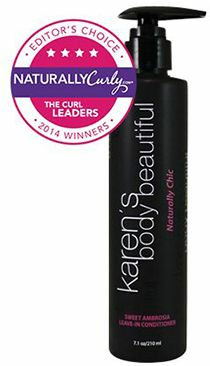 KCCC not only won Editor's Choice Best of the Best for 2013 by NaturallyCurly.com, but 2014 as well! It's also a great choice for curl clumpage, moisture, and shine that will help to make your night memorable and perfect.